Throughout the period that Vancouver hosts the Winter Olympic Games, the skies over English Bay have been set alight. 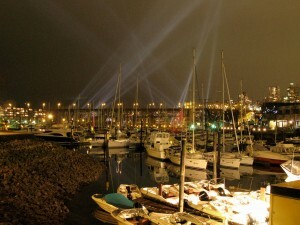 ‘Vectorial Elevation’ is an interactive art installation, by Mexican-Canadian artist Rafael Lozano-Hemmer, which features 20 10-kilowatt robotic searchlights along the shoreline. The beams illuminate over a one-kilometre patch of sky and are visible from more than 15 kilometres away. Apart from the unique views that the elevation provides, the installation is also user interactive, people interested being offered the opportunity to influence the design of the light show and dedicate it to anyone or anything they might wish. 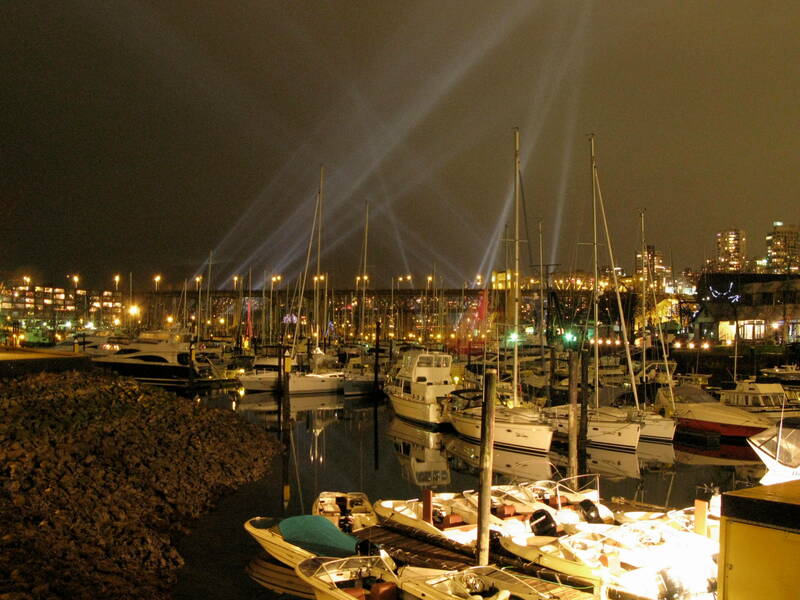 A variety of dedications have already lit the skies of Vancouver, including a plea for more snow in Whistler. According to Janet Miller, Manager of Communications for the Cultural Olympiad, there have been around 11,000 submissions on the website from 134 different countries. For those interested in influencing the nightly trajectory of the light beams, the site can be accessed here. Once registered the code, an email will be sent indicating when the created sequence will be projected. 4 active webcams are broadcasting the movement of the light beams at all times. Originally developed for the Millennium Celebrations in Mexico, “Vectorial Elevation” is part of CODE, the Cultural Olympiad’s Digital Edition showcasing digital work that encourages people from across the globe to take part in and interact with. “The air pollution in Mexico added to the magnificence of the show. Sadly, Vancouver has clear skies but the reflection from the water makes up for it” said the artist, Lozano-Hemmer. The installation has also been on display in Lyon and Dublin. However, for the Winter Olympics “Vectorial Elevation” has been substantially extended, being now considered one of the world’s largest interactive artworks. Rachael McAlister is a Master’s student at the University of the West of Scotland and is contributing to Culture @ the Olympics during his stay in Vancouver.